Why on earth has Waitrose, the UK Supermarket, started to compete on Price? Starbucks Coffee. Still a bit of a branding mug? Starbucks has decided to modify aspects of its visual identity (name / logo) and in-store brand experience. 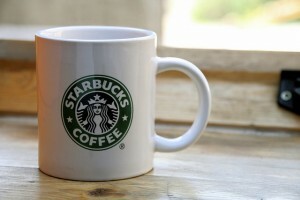 The name Starbuck’s Coffee has been dropped, the current logo of a siren (errr, that’s just a mermaid to you and me) has been updated and the famous Starbucks mugs are to be replaced by bone China. Whilst waiting for a client yesterday I picked up New Media Age (18th November 2010). The front cover was titled “Brands invest in online co-creation”. The last word caught my eye.